I don’t want you to feel to badly for me, because I do know that I had wine on 18 February, but there is a National Drink Wine Day. I have also discovered The Wine Lover’s Calendar put forth by American Winery Guide. Since I started writing these posts, I have started reading a lot of other blogs by individuals that like wine as much as I do. Some of the writers are much more learned than I am, and some just like to give as much detail as possible. If you have read my articles for any length of time, you may have noticed that I am not big on technical data, as I prefer to write as if we are across the table from each other with a glass of wine for each of us to enjoy. The other thing that I tend to shy away from is the jargon of wine-speak, I do not belabor the flavors and tastes of what I drink, because a lot of the terms I do not find attractive in my mind’s eye. One thing is for sure, I enjoy drinking wine, but only with friends, and maybe the odd time when I am at the keyboard. I have always enjoyed spreading the word about wine, and I really enjoy having discussions about wine. I like to hear other people’s take on wines, what they like and what they dislike; I may not always agree, but it is interesting. I remember drinking “swill” and very questionable “wines” in my youth with my friends at the local park and all the places teenagers would congregate back in the dark ages. 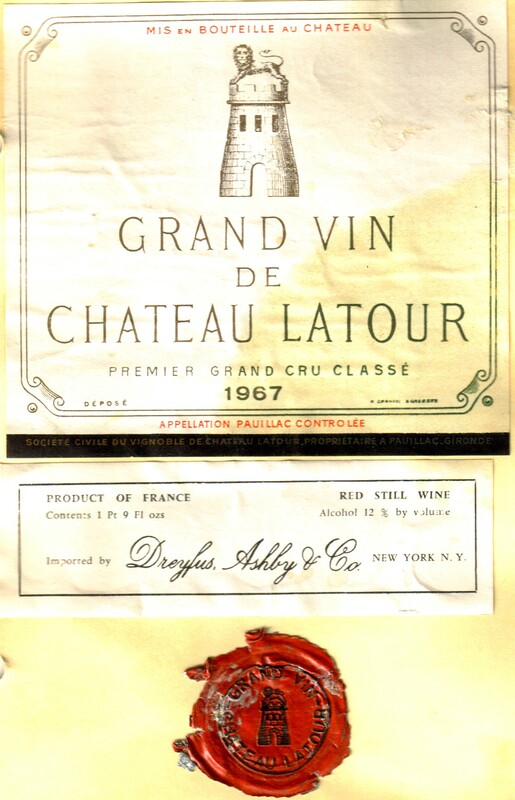 It was also at this time that I had some people that encouraged me to try wines and let me share some of the great wines that were available here in the United States back in the late Sixties. I also try to write about a mix of wines, from opening price, popular price and (God) did I really spend that much for a bottle of wine. I often wonder what it would be like to only drink First Growths and Cult wines, but then I think that I may loose my appreciation for them. One needs, I feel, to know what table wines taste like, as well as wines up the pecking order. I know that I can drive my poor Bride crazy, because I love to look at wines in stores, as well as studying wine lists in a restaurant. I thank God that I have my Bride, because she is practical, while she is looking at the extreme right hand column on the wine lists, I am looking at where the wines are from. Anyone with enough money can buy a bottle of Chateau Latour, Lafite or Mouton from the commune of Pauillac. I like to hunt for a potential gem that I may find also from Pauillac, but you have to know what to look for. 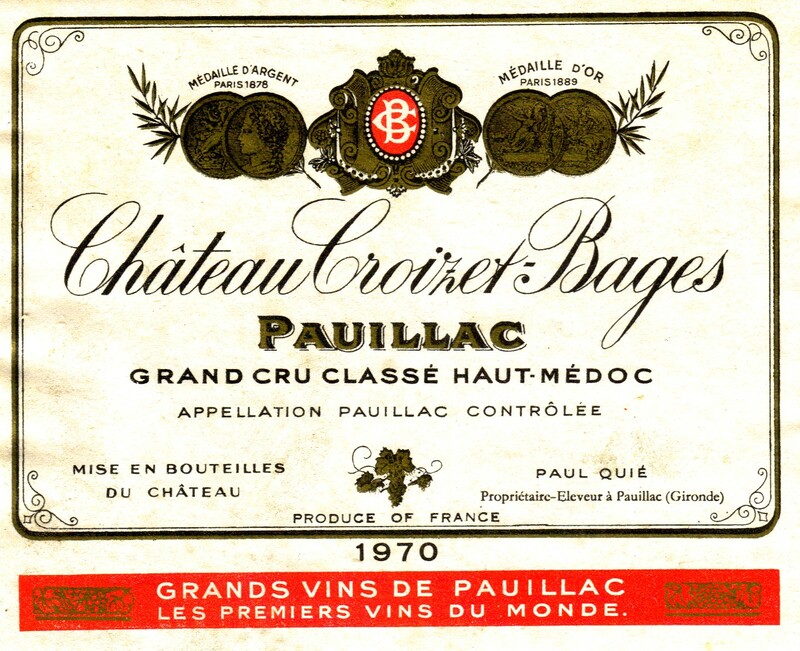 I remember my first big splurge on wine was buying a case of Chateau Croizet-Bages 1970 which is also from Pauillac, it is a Cinquiemes Crus or Fifth Growths, but it was the nectar of the Gods to me, and kind of affordable for a student at the time. To me that is what National Drink Wine Day should be about, enjoying a bottle of wine.